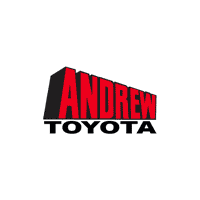 steveskaros@andrewtoyota.com to submit a general employment inquiry. Our company matches the first 6% of the salary you save at a 25% rate. Single, Couple, and Family Plans for general health, dental, and vision are available as well as several short and long-term disability benefits. Automatic enrollment in a $10K Life Insurance Policy after one-year of full-time employment. Additional life insurance policies are available for employees to elect into. And many more worthy causes! It’s not just about selling cars at a dealership. There are many more roles that make the client experience run smoothly from start to finish in every department. Explore the various roles below. Manages the new vehicle allocation and dealer trades of all new vehicles. Ensures there is a strong mix in our inventory and that every vehicle goes through a pre-delivery inspection. Ensures that the safeties, merchandizing, and stickering of the vehicles for the lot are completed. Takes photos of all new and used vehicles and then posts them into our inventory management system. Calls customers to schedule appointments for routine maintenance, warranty concerns, recalls, and declined maintenance. Create goals and objectives for the department, which include an annual operating budget, and a marketing plan to promote new business. Does varies office tasks as needed.